Yesterday, I attempted to move some of our content from a local filestore into our main subversion repository. I copied the files to my computer, all 22472.67 megabytes of it, and used TortoiseSVN to import the data to our repository. Error: WHOOPS! Insufficient Log Message. Must be greater than 10 characters. Wow. Whoops, I just wasted 5 hours of my computing time and network bandwidth to import 22GB of data that was immediately reverted *after* the whole process should have been completed. Don’t get me wrong, I love Subversion to death, and TortoiseSVN is an awesome client. This behavior, though, seems pretty ridiculous to me. I’ve spent quite some time looking for a hosted Subversion repository that had a cheap or free trial option so that I could migrate my locally hosted repository (seems silly to host your repository on your own machine, doesn’t it?) to somewhere online. Guess I wasn’t looking well enough, because today I (finally) stumbled upon a solution which meets all of my needs and more, Assembla. If you’re looking for a place to host your development projects, I’d highly suggest Assembla, even if only for the *free* hosted Subversion repository which can be made private or public, unlike other free services which only offer public open-source hosting. Not that I’m knocking Sourceforge or Google Code, it’s just that I’m working on a consulting project that can’t be left out in the open (as I’m sure is the case with many of you out there as well). 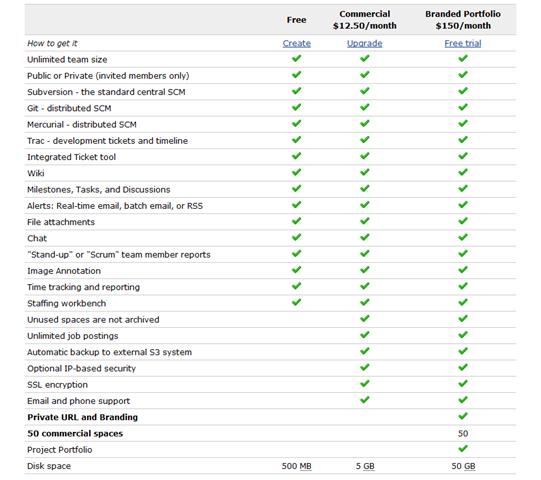 The array of development tools they have to offer is quite impressive, and I’m seriously considering upgrading to the Commercial plan ($12.50/month) to get more space. For what it’s worth, Box.net, if you’re listening – you should really consider offering (real) WebDAV support and/or Subversion through your API, because *that* would make your site the killer app I’ve been waiting/paying for.